We live in a digitally inclined world. Every person, every business is going digital and better days for them are still to come! Businesses thrive on a lot of factors, but a strong marketing strategy is what makes it stand out from the crowd. And by bringing the digital way of life to new generation marketing strategies – we have Digital marketing to take us through. One of the star attractions of Digital marketing is Social Media Management. 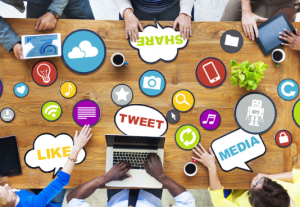 So, why does your business needs a social media management strategy? Is it worth the hype? Let’s check out – reasons why your business should have social media management. Branding the business is the first and foremost goal you should have for your business. Your brand is the face of your business, the first thing the customers recognize. Improving your brand awareness is now very easy by social media platforms for your marketing strategies. 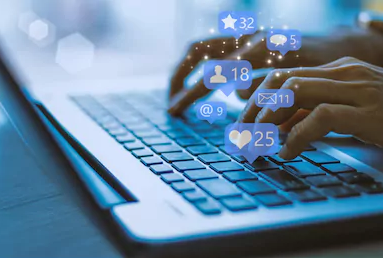 With the proper social media management strategy set in place, your brand is sure to receive more visibility and recognition, increasing the number of audiences who knows and talks about your business. With the right strategy in place, your brand will also have better SEO rankings, validating your brand’s integrity. Traditional marketing talked about what the business is all about. But in this new world marketplace, we place the customers at the core of all business needs. 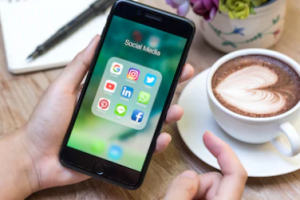 Social media marketing helps to reach out to the targeted customers in the best way and communicate effectively to know what they are looking for by engaging with your business. Every day social media platforms like Facebook and Instagram are the perfect outlets for your marketing activities, encouraging healthy conversations with customers. Brands should aim at customer satisfaction all the way through. Social Media marketing is the one strategy that is very cost effective while being highly efficient. Whether you are aiming at organic visibility for your brand or going for a paid one, the results are always positive. Being cost-effective is important to get a better ROI and manage your budgets better for other business needs. Investing a little time and money on social media management can significantly increase your profit in due course. Brand loyalty is not a thing of the past if you play your cards right. Even with increased competition in your industry, retaining your customers is guaranteed with the right social media marketing strategy. Understand your customers’ needs and promote your services accordingly. Subtlety is the key. Create an interest rather than bombarding them with offers they do not care about. Personalize any information passed on to the customer and they are sure to stick with your brand on a long run. With the right content published through the right channels, more opportunities are created for starting new conversations. These could potentially change to leads and new customers in no time. Improved traffic to your brand’s website is often seen as a result of passing on just the right amount of information through social media channels. Conversations with old and new customers will further help you get an idea of the newer demands in the marketplace and what your competitors do right or wrong, and how well you fare. Competition is part of running your business. But with the right social media marketing strategies, you can slay your competitors. Bigger brands always have a sophisticated social media presence. But it’s more important for SMEs to run their own campaigns to get noticed better. So it is never a mistake to invest in your social media marketing. It will take time to find your place and find your voice in the market, but it is vital not give up. Post content regularly and open up more conversations. Remember that Rome was not built in a day. Let us help you build your empire through smart social media management.